Spring has sprung! Time to play with our pretty pastels and soft hues. 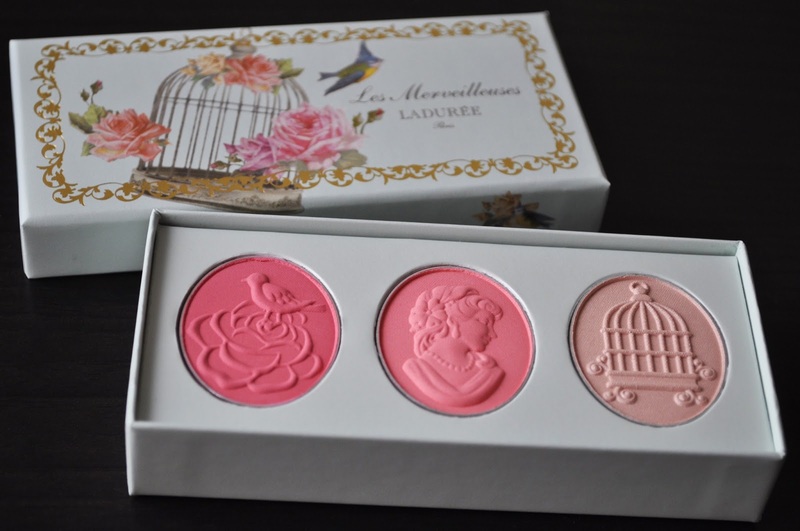 Les Merveilleuses Laduree Spring 2013 Collection captures the effervescent, romantic, and festive atmosphere of France in Spring. The collection introduced a few limited edition pieces as well as some new permanent additions to the line. 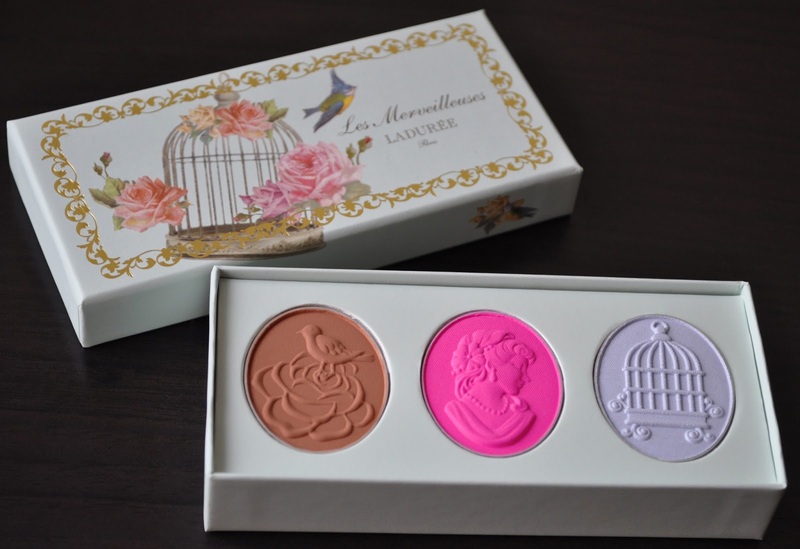 First up, the Mini Face Color Trios: There were three Limited Edition trios released, retailing for ¥6,300. Isn't the packaging lovely?! 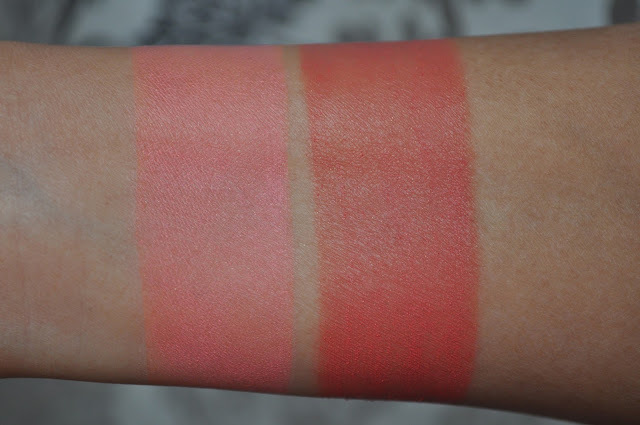 From left to right: swatches of the Mini Face Color Trio 101. Mini Face Color Trio 102. From left to right: swatches of the Mini Face Color Trio 102. Mini Face Color Trio 103. 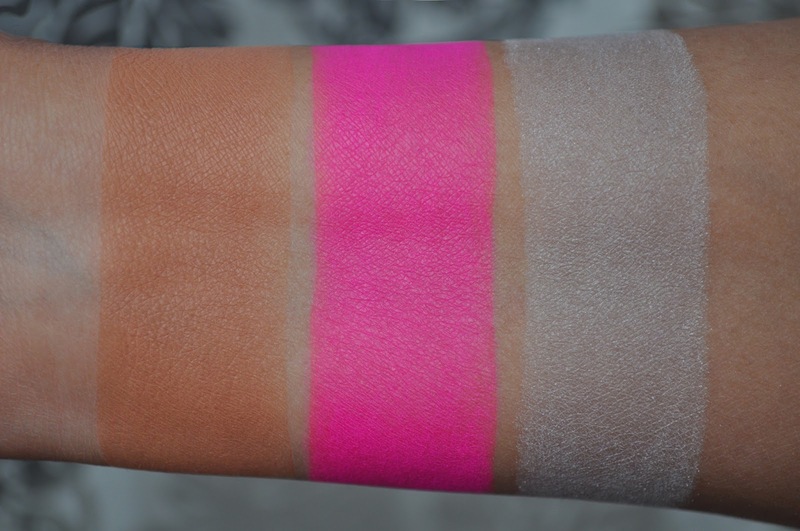 I found the texture of the Mini Face Color Trios to be a little dry and stiff (101 being the driest), in comparison to the powder products in the permanent collection. Although slightly dry, all three trio's are pigmented, apply and blended easily onto the eyes or cheeks. 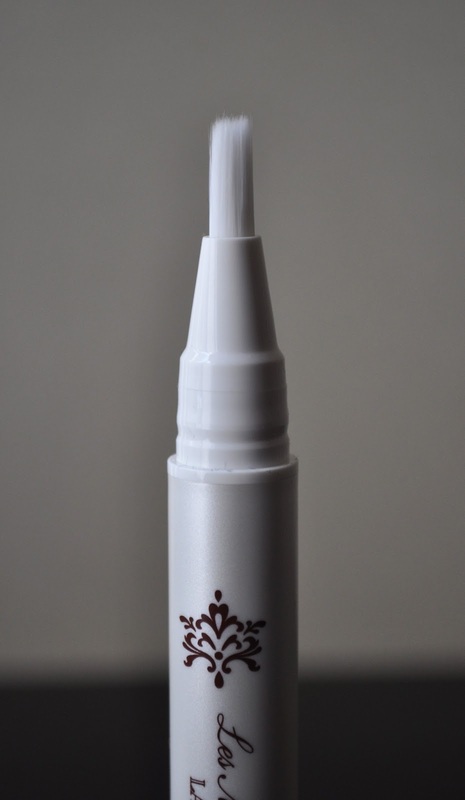 New and permanent are the Creamy Eye Color's, available in six shades, and retail for ¥4,200. The Creamy Eye Color packaging is similar to Ysl's Touche Eclat; a plastic pen style tube, with a brush tip applicator, and click button bottom to disperse the product. Four Pencil Eyeliners were launched with the collection, 101 and 102 being limited edition, and retailing for ¥2,625. From left to right: Pencil Eyeliner 101, 102, Creamy Eye Color 02, 05. I passed on the Pencil Eyeliners in 01 and 02 because I have a million black and brown liners. 101 and 102 are just exquisite. 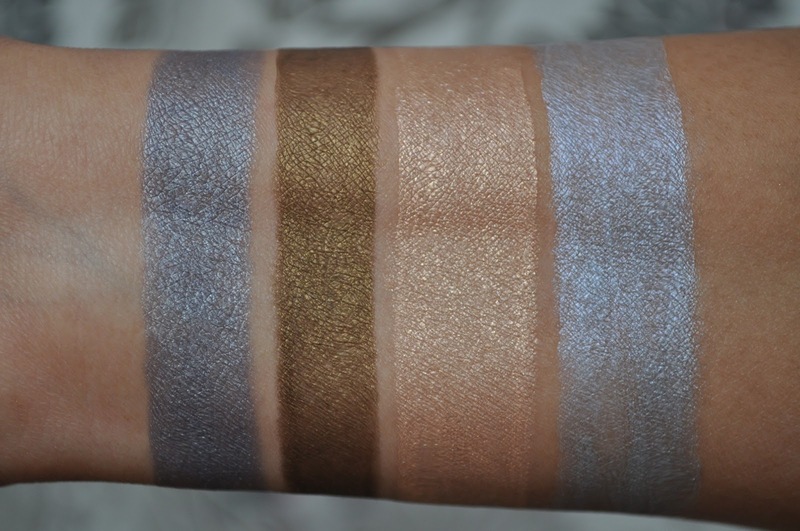 101 is a heavenly grey-based, lavender-blue, which sends my heart a flutter; I don't have a shade like this in my liner collection. 102 is a murky, tarnished, chartreuse-bronze; another complex and unique shade that I just adore. Similar to the Pencil Eyeliners, I only picked up two of the Creamy Eye Colors. 02 and 05 really caught my attention, and I found the shades very pretty, especially 05. Cream Cheek Base, limited edition, retailing for ¥4,410. 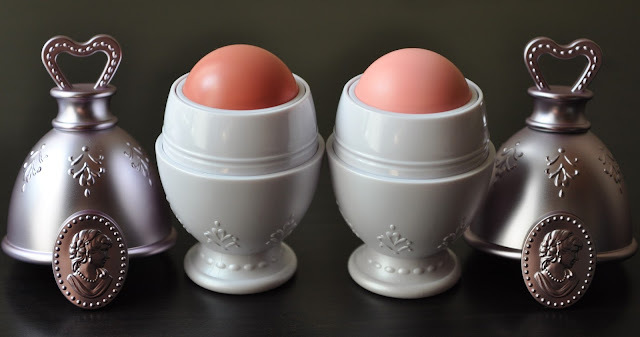 I love Spring lavender packaging of these Cream Cheek Bases!! 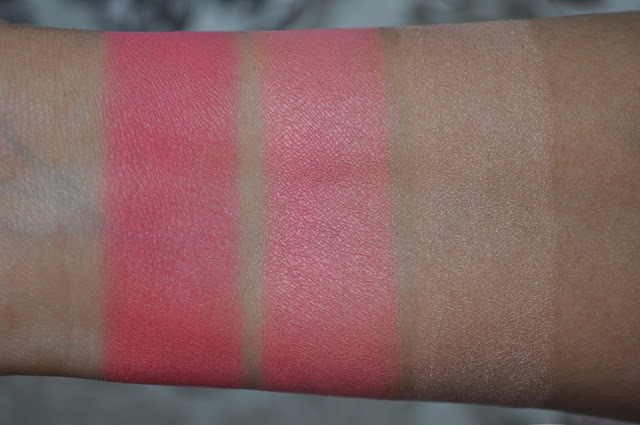 Cream Cheek Base 103 and 102. I've reviewed these Cream Cheek Bases in the past (here), and they work marvelously during Fall, Winter, and Spring. But, once hot and humid Summer comes along, you're best bet is to use these as a base under a powder blusher. From left to right: 102, 103. 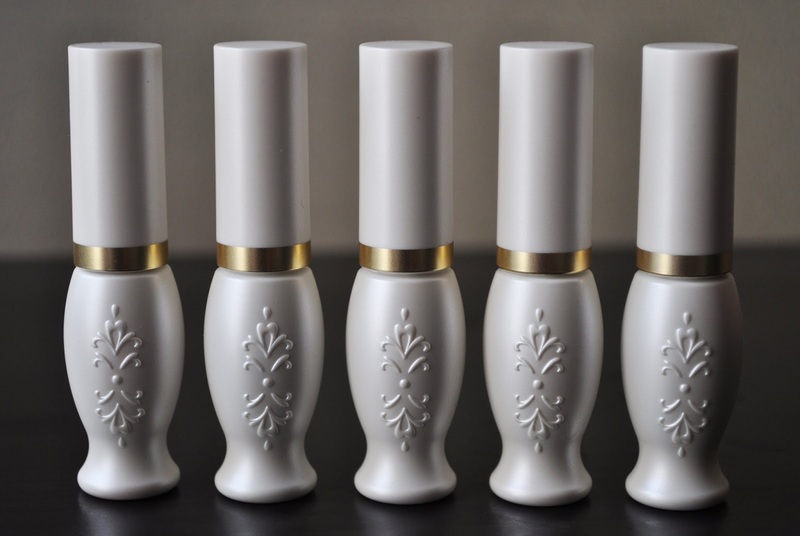 Also new and permanent, are the five Lip Lacquers, retailing for ¥3,360. 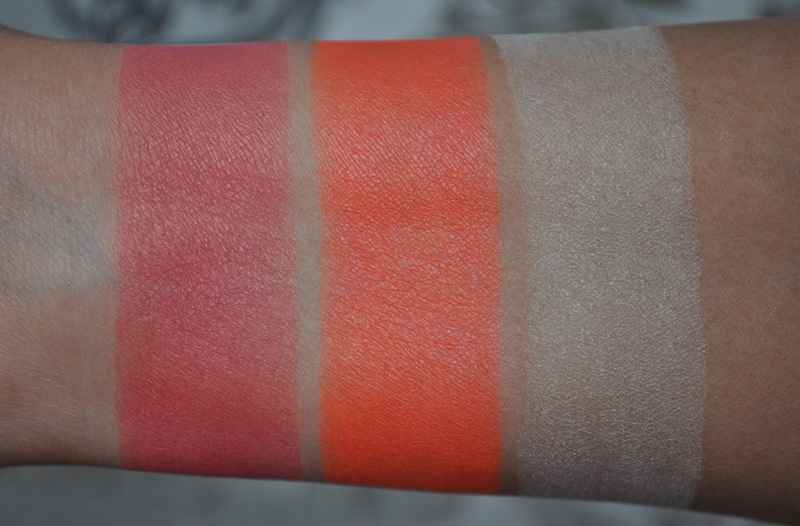 The Lip Lacquers are a liquid lipstick/lipgloss hybrid. I found them to be very moisturizing, but only lasted about 3 hours. Also, for those of you who may be wondering, they are not a stain. From left to right: 01, 02, 03, 04, 05. 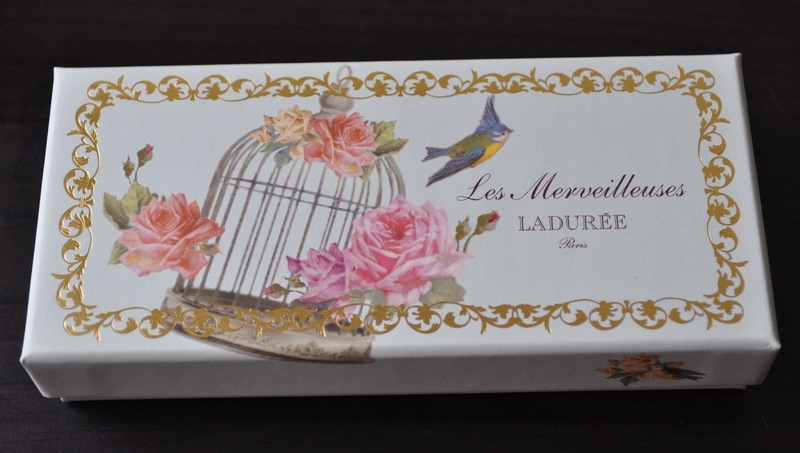 And finally, my Laduree beauty member's gift with purchase: These chocolate cookies with almonds slices were delicious! The blue macaroons are Laduree's seasonal Marie Antoinette; simply delectable. Overall, I loved all the pieces in the Spring collection, with the exception of the Lip Lacquers; I like them, but I'm not in love with them. I know! 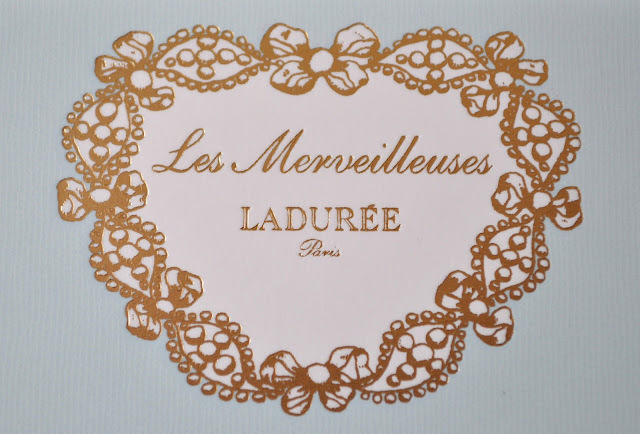 Laduree really does a great job reeling the customer in with the exquisite packaging. Beside having the Laduree beauty counter at Mitsokoshi Ginza, they also have the restaurant on the 2nd floor. Those palettes are so beautiful! 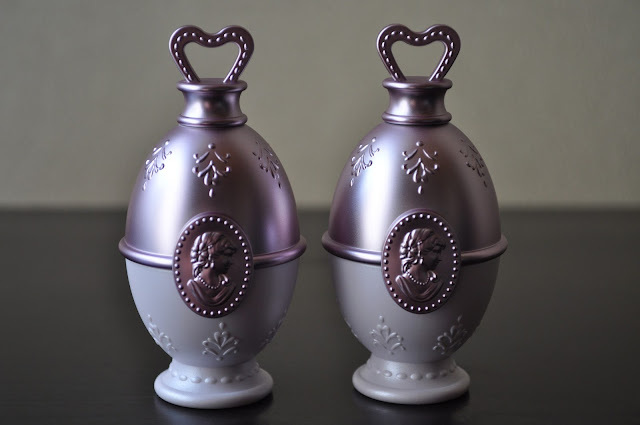 Do you happen to know where I can order these if I'm in the US? 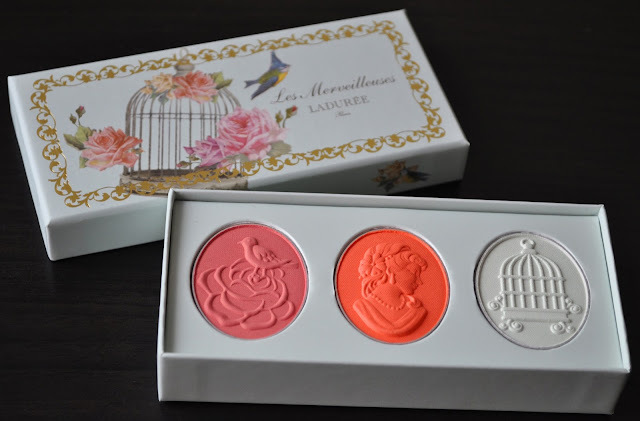 regrettably, the palettes were Limited Edition, but I can try to find it for you. Which one are you interested in? 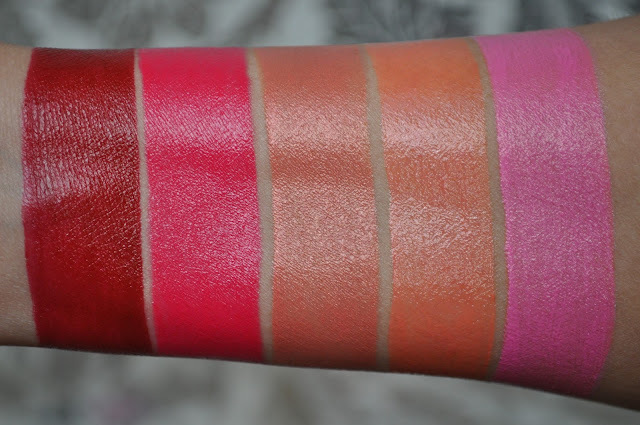 Love The Lip Laquers But Ichibankao Prices Are Crazy! If need help getting any of these products just let me know. This is my first time seeing the brand, wow! Beautiful and cute packaging... Wish it was available here in the states! 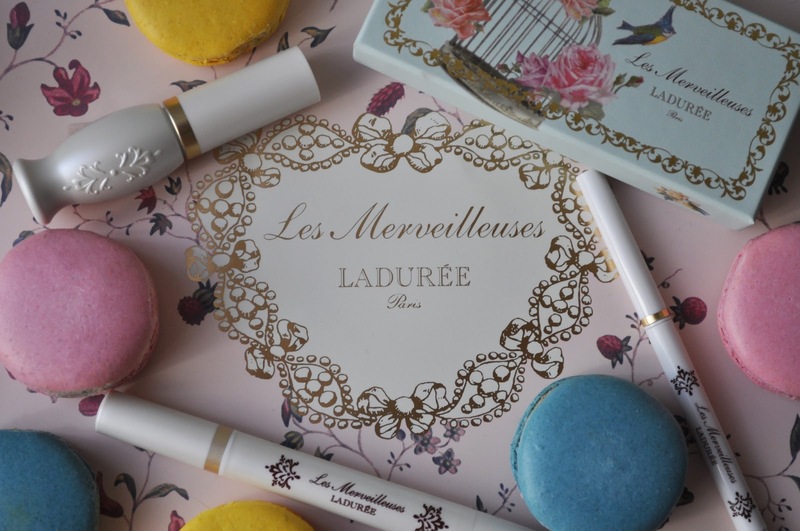 Glad I could introduce you to Laduree. 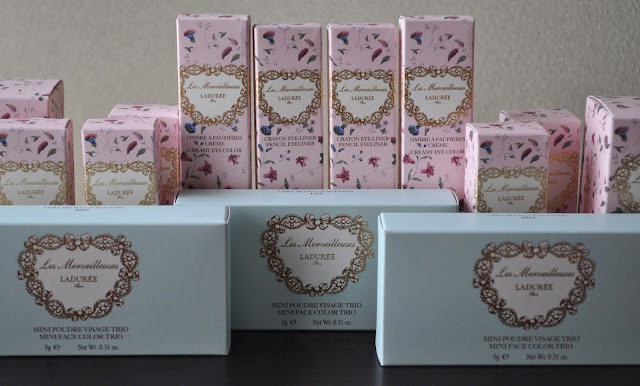 Besides the beautiful packaging, the products are lovely. Awesome!!! where can i find this in Dubai, UAE???? At the moment (as far as I know), Laduree is only available in Japan and france.